Can the iPhone 6 Beat Amazon’s Kindle Fire? The war is on — which smartphone will win? Or is Apple really trying to fight Amazon’s Kindle Fire? It’s fun to watch two giant tech companies trying to out-do each other by creating even more exciting new gadgets. But at some point you have to ask: which fight are we really watching? Did Apple just release a new phone, or a new tablet?! But my response would be that it doesn’t matter. I always think of the long-term war between Apple and Microsoft. Actually, I remember the way it was acted out in the movie “Pirates of Silicon Valley”. It ends with Steve Jobs confronting Bill Gates over Microsoft’s plans to take over the market for personal computers. Microsoft succeeded, but I like to think that Steve Jobs personally calculated the strategy that would one day help Apple reclaim the lead. The storyline looks like this. Steve Jobs knows that computers will get smaller and smaller, and eventually “computing” will be mostly practiced on tiny devices that we’d hold in our hands. So back in 2001, Apple releases their first iPod, and quickly carves out a niche in “fresh territory”. The iPod gets better and better, and within 6 years, Apple adds the ability to make phone calls to their handheld devices — and also the ability to run apps. And what was the iPad, really, but a big iPhone, for running apps on a giant screen? There’s debate now about whether you can really replace a personal computer with a handheld device, but it’s undeniable that people love owning a tablet. Amazon, of course, has been selling Kindles for the last 7 years, and they introduced their own line of multimedia tablets in 2011. But the Kindle Fire may just have been a defensive move by Amazon — to make sure Apple didn’t lure away everyone who wanted to read ebooks on a handheld device. And then Amazon launched an offensive move — releasing a smartphone of their own. The Fire Phone was even discounted massively this week, from $199 apiece to just 99 cents (with a two-year service contract). But I’m still wondering if we’re missing the real battle that Amazon is fighting here. The Fire Phone comes with a “Firefly” feature which makes it easy to instantly purchase items (using your Amazon account to automatically handle all the billing). Maybe Amazon isn’t worried about losing customer’s who’d buy ebooks, digital readers, or even handheld tablets. Maybe Amazon’s worried about losing ground in the war for all commerce — the ability to handle every payment that gets made on a mobile device. This is the iPad with Retina display. And this is the new Kindle Fire HD with an 8.9-inch display. Stunning HD, stunning HD. In fact, you may not be able to tell the difference. But your wallet definitely can. At a site called Mobile Mag, another blogger seemed to agree with that analysis, writing that that there are indeed more apps available for the iPad, it has a larger display, and its operating system is a lot more sophisticated. But even he seemed to enjoy the rivalry between the two top tablet makers. “Whether you are for the Kindle or against it, it is nice to see that someone is trying to take down the all-mighty Apple,” he writes. Ouch! I know Amazon wants to beat Apple in “the war of the tablets”. But today Amazon launched a surprisingly aggressive attack against Apple’s newest tablet computer, the iPad Mini. They fired the first shot last Thursday during a conference call announcing their earnings. But today they continued their attack using the front page of Amazon.com! Apple had announced their new “iPad Mini” just six days ago, priced at $329. It competes directly with Amazon’s Kindle Fire tablets, though its color touchscreen has a lower density of pixels (offering just 163 pixels for every inch of screenspace). Even the original Kindle Fire — now priced at $159 — has 169 pixels per inch. And Amazon’s new Kindle HD (priced at $199) now offers 216 pixels per inch. Apple’s always had a reputation for producing good-but-expensive products. So apparently, Amazon wanted to make sure that everyone noticed that Amazon’s cheaper devices were actually offering more pixels per inch. Somewhere in Seattle, someone came up with a publicity stunt that was sure to get the attention of technology bloggers everywhere. The first thing you see today at the top of Amazon.com is a quote from the technology site Gizmodo. Amazon seems anxious to position themselves as the better-and-cheaper option, especially with the Christmas shopping season coming up. (Ironically, Gizmodo.com went offline this afternoon, possibly overwhelmed by all the additional traffic they were now getting from Amazon.com!) Just two days after Apple had launched their newest product last week, a spokesperson for Amazon had also contacted the AllThingsD blog, and bragged that the sales for the Kindle Fire HD had actually increased the day after Apple had announced the iPad Mini. In fact, Amazon sold more Kindle Fire HDs on that day than on any other day since they’d launched the product. Not only that, but Amazon had actually sold three times as many as they’d sold just the week before! It’s possible that there was a pent-up demand for tablets on that one day. I’m guessing that a lot of shoppers had postponed their purchase just to see what kind of device Apple was going to announce. But apparently a lot of them then decided to go with Amazon’s device, because it was much cheaper and offered a higher density of pixels. And now Amazon’s making sure everyone’s hearing about the difference. My friend Steve also pointed out that the iPad Mini is also going to have to compete with the Kindle, at least in some ways, “and Kindle has this nice, paperlink e-ink surface. As a backlit device, we really need the smoother, crisper screen to be an easy-on-the-eyes experience, and the iPad Mini really doesn’t deliver on that.” Plus, even for a die-hard Apple fan, it’s hard to get past the fact that Apple’s priced their newest device at least $130 higher than the Kindle Fire tablets that Amazon’s aiming at the lower end of the market. But as one Kindle fades away, Amazon’s announced a new generation of devices that are ready to take their place. So how did shoppers react to Amazon’s newest Kindles? I’ve been studying the internet for clues, and there appears to be one very important lesson. It looks like Amazon’s customers really appreciate the lower prices – at least, judging by Amazon’s list of their best-selling electronic devices! The first weekend after they were announced, Amazon’s #1 best-selling item was Amazon’s 7-inch Kindle Fire HD (which at $199, is also one of their cheapest color Kindles). Amazon’s also selling an upgraded version of their last year’s Kindle Fire tablets for just $159, and those were #4 on their list of the best-selling electronics. But the #2 and #3 spots went to the new black-and-white Kindle Paperwhite. And it was the cheaper “Special Offers” version (which sells for $119) which earned the #2 spot, while the ad-free version (which sells for $139) grabbed the #3 spot. But even that first weekend, the #5 spot also went to yet-another one of Amazon’s black-and-white Paperwhite Kindles — the more-expensive version with built-in 3G wireless capability (which sells for $179). There’s also an ad-free version which sells for twenty dollars more ($199), which had also risen up to #7. And the #6 spot went to the cheapest Kindle of all — Amazon’s 6-inch “Kindles”, which now costs just $69. You had to go all the way down to the #8 spot before you found one of Amazon’s more expensive 8.9-inch versions of their new Kindle Fire HD tablets. And even then, it was the cheaper WiFi-only version without the built-in 4G wireless (which sells for $299). Two weeks later, it had dropped to the #14 spot, and the $499 and $599 versions didn’t even appear among the top-20 best-sellers. Even in that first weekend, the $499, 4G verson of the Kindle Fire had only reached the #9 spot, and the $599 version (with 64-gigabytes of storage) had come in at #10. I was surprised to see that even two days after Amazon announced their new Kindles, Apple still had the #15 best-selling electronic device — their Apple TV receiver. And it’s since risen to become the #6 best-selling electronic device on Amazon — after racking up more than 190 days in the top 100. Of course, Amazon’s not selling Apple’s hottest new device, the iPhone 5. But if they did, I’m guessing it would also become one of Amazon’s best-sellers. Brand New Ads for Amazon’s Newest Kindle Fires! 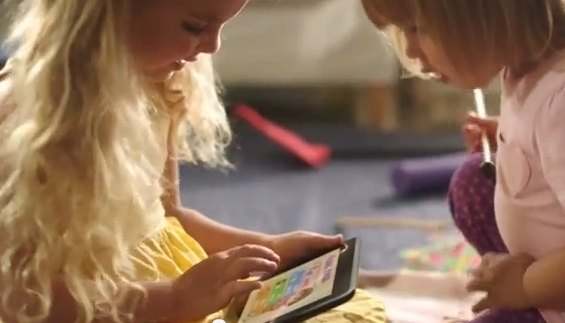 Amazon’s just released two slick new ads to promote their new Kindle Fire HD tablets. You can watch them all on YouTube at youtube.com/kindle — and they provide some interesting glimpses into the way Amazon is planning to sell these new devices — as well as Amazon’s own view of their role in the 21st century. When I discovered these ads Thursday on YouTube, only 300 people had seen them. But soon Amazon should start broadcasting them on TV during prime-time commercial breaks, where they’ll presumably be seen by millions. So what does Amazon want to tell these people about their new Kindle Fire HD tablets — and about Amazon? Here’s a transcript of the text for their new ad for the Kindle Fire. “We’re the people with the smile on the box. We’re the re-inventors of normal. We dream of making things that change your life, then disappear into your everyday. Of making the revolutionary routine. “Our accomplishments are things you barely think about, but can’t imagine not having. Connecting your mouse to your front door was our moon landing. Creating Kindle — our four-minute mile. Customer reviews – our light bulb. And when we build you something new, you can expect everything to change a little more. There’s some touching footage in the ads of a family receiving an enormous box from Amazon, and another one showing a small box from Amazon — presumably a new Kindle — arriving as just another package in a stack of mail. It shows children touching the screen of a Kindle, and even a woman who’s reading her Kindle while brushing her teeth, all to make the point that now Kindles are becoming part of our lives. And I thought Amazon came up with a great way to tout the fact that you don’t even need a light now to read on one of their new Kindles. 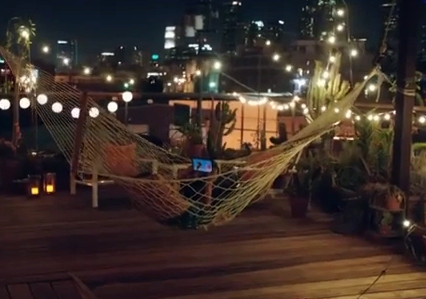 They show someone relaxing in a hammock on their deck overlooking the city — enjoying their Kindle outside, at night, without even needing a reading lamp. But I wondered if, when Amazon created this ad, they were thinking of Steve Jobs. Apple’s legendary “Big Brother” ad in 1984 helped to launch the whole personal computing revolution, and Steve Jobs himself helped write Apple’s inspiring “Think Different” campaign (which showed footage of famous people as the narration explained that “they change things. They invent. They imagine… They create. They inspire. They push the human race forward…”) The grandiose comparisons created an aura of excitement around Apple’s new products, and now that they’re competing directly with the iPad, maybe Amazon’s now trying to claim some of that same gravitas for themselves. They’re basically equating the ability to shop online at Amazon.com with the first time humans walked on the moon! 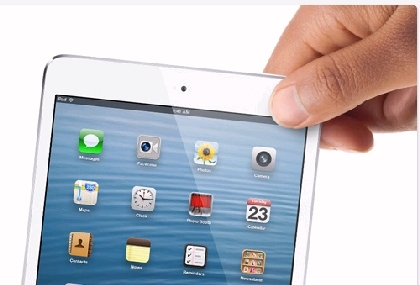 Fighting Kindle Fire: Will Apple Release an iPad Mini? There’s yet-another rumor about a new tablet device. Apple may launch a price war with Amazon’s Kindle Fire tablet — by releasing their own cheaper iPad tablet! A lower price could boost sales around the world, in both developed and “developing” countries, according to the analyst. But it’s also a clear response to the new tablet from Amazon. The Kindle Fire, priced at just $199 put some real “price pressure” on the iPad (which sells for $499). It’s the newest battleground in a war between Apple and Amazon that’s been going on for the last four year. Of course, at best that was always a “glass half empty” statement. (It also meant that 60 percent of Americans do read more than one book each year.) And according to a more-recent poll, now it’s only 25% of Americans who read one book or less each year, with 75% of Americans now reading more than one. (Plus, there’s apparently another 40% of Americans who every year read at least 11> books.) And the poll found even higher percentages for us people who own a digital reader. Each year a full 62% of us read at least 11 books, while 26% of us are reading more than 20 books! tablet which Amazon eventually introduced. It’s fascinating to read Jobs’ remarks in the conference call — just one year before his death — in light of the rumors of an “iPad Mini” that’s coming in January. It may be that it will be just a cheaper version of the iPad (keeping its large 10-inch screen). But if they do make the iPad smaller, they’ll be defying the intense criticism that Jobs laid down just 12 months ago. “Apple has done extensive user testing on touch interfaces over many years and we really understand this stuff. There are clear limits of how close you can physically place elements on a screen before users cannot tap, flick or pinch them,” Jobs had said. “This is one of the key reasons we think the 10-inch size is the minimum size required to create great tablet apps. …our potential competitors are having a tough time coming close to iPad’s pricing – even with their far smaller and far less expensive screens…The proof of this will be in the pricing of our competitors’ products, which will likely offer less for more. These are among the reasons we think the current crop of 7-inch tablets are going to be DOA – dead on arrival. Their manufacturers will learn the painful lessons, that their tablets are too small and increase the size next year, thereby abandoning customers and developers who jumped on the 7-inch bandwagon with an orphan product. 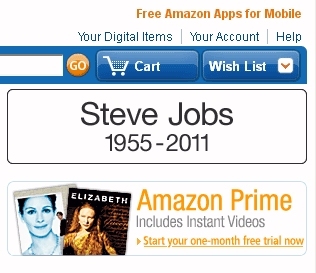 Today Amazon posted a memorial to Steve Jobs on the front page of Amazon.com. 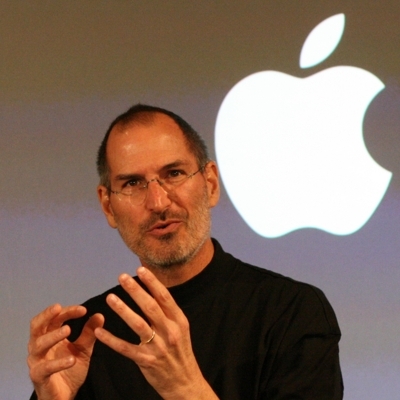 It read simply: Steve Jobs 1955 – 2011. When you clicked on the link, it went to Apple.com, which had posted the same words beside a picture of their co-founder. All across the web today, people are remembering the man who helped change their lives. I sat down to write about Steve Jobs on my desktop computer — and realized that he’d actually helped invent the desktop computer. It’s a legend in Silicon Valley that’s probably worth remembering today. 35 years ago, at the age of 21, he’d teamed up with Steve Wozniak to sell home-built personal computers from Jobs’ garage. Most people know the highlights of Jobs’ life. (That year was 1983, and the next year Apple would release their legendary Super Bowl commercial arguing that the new Macintosh computers would show people “why 1984 won’t be like [George Orwell’s] 1984.”) But by building Apple into a successful brand, Apple helped legitimize personal computers, proving there’s a market for “consumer technology.” And under Jobs’ leadership, they proved it again two decades later with new mobile products, which ultimately helped to pave the way for Amazon’s Kindle. Today even my friends who use a PC are still sharing fond and grateful thoughts — along with nearly everybody else — and you can see signs everywhere of an almost global response. The best-selling book today on Amazon is Steve Jobs — a yet-to-be released biography by Walter Isaacson (a former CNN chairman and the managing editor of Time magazine). It’s also the third best-selling ebook in Amazon’s Kindle Store (and, presumably, it will also be available in Apple’s iBookStore.) Today the founder of Facebook even posted a personal statement about Steve. “Thanks for showing that what you build can change the world.” And 355,835 Facebook users clicked the “Like” icon to show they agreed. Job was determined to import the “garage start-up” feel to his new company, Next Computer. “He abandoned conventional corporate structures, instead making a ‘community’ with ‘members’ instead of employees,” remembers Wikipedia. Besides the open floor plans, everyone received exactly the same salary when they started — with regular raises and performance reviews — and “to foster openness, all employees had full access to the payroll.” Everyone at Next was paid a month in advance, and in one building the company even hosted temporary art exhibitions using an in-house curator! 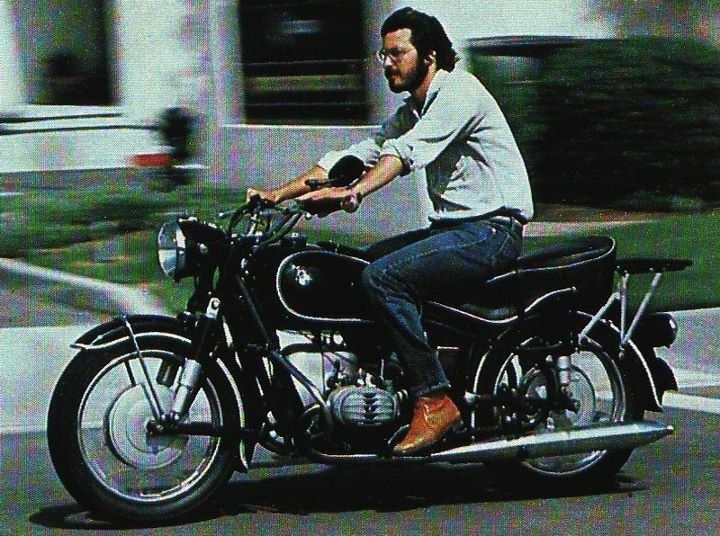 Jobs later said his time outside of Apple was the best thing that happened to him — “The heaviness of being successful…replaced by the lightness of being a beginner again, less sure about everything. It freed me to enter one of the most creative periods of my life.” If you ask a geek, they’ll tell you that Next Computer helped to popularize the “object-oriented programming” style of designing software which has since become an industry standard. But in the popular imagination, it’s Jobs’ excited ambition that you think of when you imagine the head of a cutting-edge technology company. Apple’s sales increased as the company introduced a series of new devices like the iMac, the iPod, and the iPhone. Just yesterday morning I’d been writing a post about how Apple would respond to Amazon’s new Kindle Fire tablet. But the truth is, Jobs had been thinking about the answer for at least 15 years. I believe Steve Jobs recognized that desktop computers were just the “first generation” of devices. If there’s a pattern after his return to Apple, it’s a focus on smaller and smaller devices. 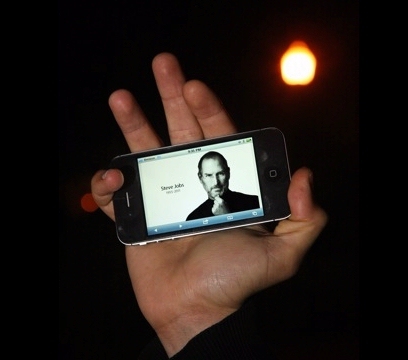 Jobs recognized that technology was going mobile, and was already positioning his company for the future. “Don’t you see what’s happening?” argues one technology site. “PC’s are 1990, man! Handheld devices are approaching the processing power of PCs – and everyone has at least one… It’s like Microsoft just cornered the market on Univacs.” And by 2007, Apple was already selling just as much recorded music as the entire chain of Target stores — and more recorded music than Amazon. One of the most moving photos I saw today showed a San Francisco memorial service where a mourner held a picture of Steve Jobs…on their iPhone. Tuesday the Kindle got some new competition! 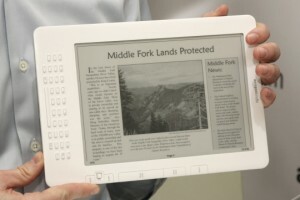 Barnes and Noble announced a new touch-screen version of the Nook. And there’s also a new touch-screen version of the Kobo ereader. But is Amazon planning their own surprise for the next generation of the Kindle? Each digital reader is fighting for an early lead against its competition. 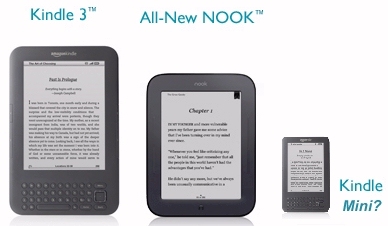 (Barnes and Noble announced their new Nook today, even though they won’t actually be able to ship them until June 10.) It’s possible that they’re worried Amazon will steal the market by releasing their own touch-screen tablet device soon. But I wonder if Amazon has another idea. The analyst’s conclusion? e-ink readers like the Nook and the Kindle will drop below $99 by the end of the year. But one way to do that, I’m thinking, is by making the Kindle smaller! It’s a possibility that’s at least implied by the latest rumors about Amazon’s plans for a tablet-sized device. Besides a full-sized tablet device, there’s also speculation that Amazon might also be working on a powerful but compact 7-inch version! But I’d like to see Amazon release a “Kindle Mini” — about the size of a smartphone, but with a fully-functioning e-ink screen. I say this partly because I’ve already seen Amazon’s Kindle app on a smartphone-sized screen — and it works great! A smaller screen must refresh faster than the larger ones, and that also would extend the device’s battery life. 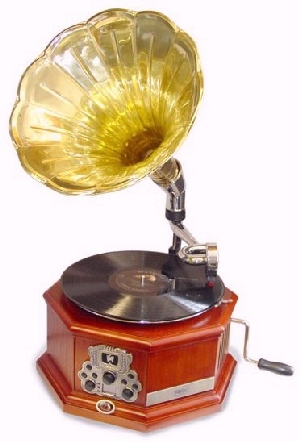 And besides e-books, it could also store music and audio files (creating a nice alternative to an Apple iPod). And the device could also play audiobooks — available through the Amazon-owned web site Audible.com. One technology blogger is already listing the advantages, noting that an even-smaller Kindle could be carried in a shirt pocket. And he’d like to see something like a “Kindle Nano” — modelled after Apple’s smallest music-playing device — which was actually optimized for audiobooks. I’d had the same idea, but this blogger is so enthusiastic that he’s issued a plea to Amazon CEO Jeff Bezos. “Jeff, buddy, I know you’re out there. Give us our Kindle Nano. Is Amazon building a new tablet-size Kindle? And here’s some more possible evidence from within the last week. Yesterday Amazon’s older tablet-sized Kindle DX suddenly went on sale at a 20% discount at Best Buy and Staples. Were they selling off their inventory before introducing a better model? 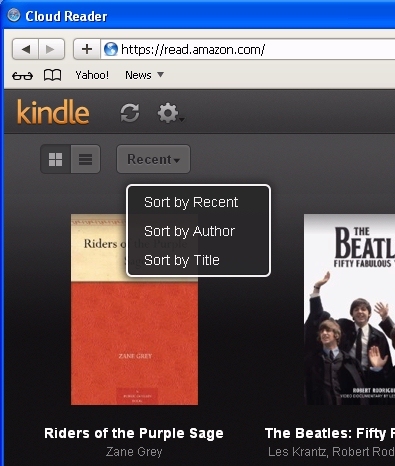 Thursday Amazon added a link in the Kindle’s built-in store for downloading audiobook files. Were they encouraging Kindle owners to explore the Kindle’s audio capabilities? It’s starting to feel like a not-so-secret secret. “Amazon has been working on a multi-touch color device with Wi-Fi since at least early last year,” reported Matt Buchanan of Gizmodo, “if not earlier. It bought a multi-touch company called Touchco, and merged it with Lab126, the subsidiary that works on Kindles. Then it put out calls LCD specialists. Another name for a multi-touch color screen device? A tablet.” Buchanan also suggests that there’s not much money for Amazon to make selling apps — unless they’re really planning to sell a new device that runs them. It’s a move which seems to make a lot of business sense. Right now the only real competition to the Kindle is the Nook — an Android-based tablet which offers a back-lit color screen. But just Friday Barnes and Noble confirmed big improvements are coming for the NOOK Color in April, which reportedly include e-mail, an app store, and even support for Flash animation and video. They’ve sold millions of the device in the last six months, according to the business magazine Fast Company. Are they pressuring Amazon to come out with their own color multimedia reader? Watch closely, and it seems like Amazon is already putting into the place the very things that some pundits are recommending. “If a Kindle tablet had a ‘Recommend this thing I’m looking at right now’ button…that one feature would be a force-multiplier for the commercial impact of the whole platform,” Andy Ihnatko wrote. But of course, just recently Amazon added a “Before you go” feature to the Kindle 3. (“When you reach the end of the book, you can immediately…share a message about the book with your social network,” Amazon explained when they announced the upgrade last month.) If Amazon proves it can generate sales for content, “it wouldn’t take much for Amazon to legitimize itself as the friend to independent producers of books and music and video,” Ihnatko writes. Apple needed its iTunes store before people would buy the iPod, and their app store to sell the iPad. But now Amazon could be offering up some real competition. I’m enjoying the what-if scenarios because they brings out some great analysis, and whatever happens, this conversation is helpful for understanding the world today. And I loved how Ihnatko concluded his 2,800-word masterpiece — the last reason he offered for an iPad-style Kindle. “Amazon can succeed like Apple and maybe exceed Apple’s success in many places because it has the single greatest asset that any tech company can possibly have: It’s run by a crazy billionaire… Listen to me: Jeff Bezos has his own space program. I never tire of saying that. This is clearly not a man who’s intimidated by the scale of a project or the expense. Today Amazon opened a new app store for Android smartphones and tablet devices! And it’s also raising questions about whether Amazon is preparing to release their own iPad-sized Kindle that runs the Android operating system. Amazon “did not respond to requests for comment” when contacted by the Wall Street Journal. But today the newspaper reported that industry observers “widely expect” Amazon to release a multimedia Kindle “that may run on Android.” And whatever they do next, Amazon has just entered into a high-stakes war with the largest players in the entire technology industry — including Apple, Google, and Microsoft. 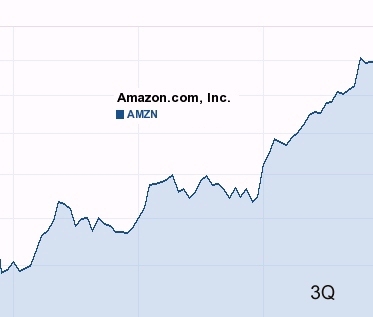 With or without an Android-based Kindle, at least one stock analyst already predicts that Amazon could be “a leader” here, based on how powerful they’ve already become in online shopping. “Our customers have told us that the sheer number of apps available can make it hard to find apps that are high quality and relevant to them,” Amazon announced today in their press release. And they’ve also added a special new feature called “Test Drive,” which actually lets you preview an app on your PC before downloading it to your phone. The launch of the Android-phone app store has already provoked Apple into action. Friday Apple even filed a lawsuit against Amazon, trying to force them to stop using the term “app store.” It seems to me Apple is worried that an iPad-sized Kindle — complete with its own app store — could create some unwanted competition. (“We’ve asked Amazon not to copy the App Store name because it will confuse and mislead customers,” an Apple spokeswoman told Bloomberg News.) Friday Apple actually filed an official complaint in a federal courthouse in California, citing both “trademark infringement” and unfair trade practices (and requesting both an injunction on the use of the phrase “app store” and a legal award of damages.) Apple claims the U.S. Patent and Trademark Office had already approved an application for a trademark on the phrase “app store”. And there seems to be a lot of excitement. This afternoon when I tried to install the Amazon Appstore on my smartphone, I received a “server busy” message for nearly half an hour! Amazon is giving away “Angry Birds Rio,” the newest version of a popular bird-shooting game for smartphones. (“Birds away!” reads Amazon’s description, promising “you’ll unleash an arsenal of angry bird artillery through 60 levels of cage-busting vengeance.”) They’re advertising it as an Amazon appstore exclusive, and it’s already the best-selling item in Amazon’s app store — but it’s not the only free game in the store. In fact, there’s hundreds of free apps in the store today, including free versions of all the following classic games. There’s even two more free Angry Birds games, plus Guitar Hero 5. (And there’s even a version of Pac-Man.) Of course, there’s non-game applications, like Oprah Mobile, E! Online, and Zagat to Go. But the most interesting feature is Amazon’s promise of very aggressive pricing if you’ll keep visiting their app store. The store’s current tagline? About eight million people have apparently received a new Kindle this year. So who are these people? But one of the most fascinating stories came from Vaughn R, who’d actually been part of one of the major news stories of 2010. “As a ‘survivor’ of the Carnival Splendor ‘cruise to nowhere’ I’d like to thank you for making the Kindle, which really helped turn my'”nightmare’ trip into a pleasure.” On its first day the California cruise ship had experienced a fire in its engine room, leaving the 3,299 passengers stranded on board 55 miles from the coastline without any electricity, air conditioning, or hot water, according to one news report. “While other passengers were haplessly ‘dead in the water’ due to the dead batteries on their iPads, my Kindle easily lasted the entire trip even though I used it nearly all day, every day. Vaughn’s story got me wondering if anyone’s reading their Kindle while they’re stuck at an airport — and it turns out the answer is a big yes. “I was on that plane stuck for 12 hours on the tarmac at JFK yesterday,” one Kindle owner posted this afternoon in Amazon’s Kindle forum. “Thank goodness I had my Kindle!” And it turns out it’s a fairly common experience. “Recently, while waiting for my flight at the airport, a voice on a loudspeaker informed the passengers that our plane was delayed because of bad weather,” remembered Sandy B. on the Kindle’s Facebook page, “and it might be two hours before our flight departed. This Monday Amazon’s CEO finally shared a story of his own, making the point that the Kindle doesn’t necessarily compete with the iPad. “We’re seeing that many of the people who are buying Kindles also own an LCD tablet. Customers report using their LCD tablets for games, movies, and web browsing and their Kindles for reading sessions.” Amazon isn’t feeling threatened by Apple’s products, and even bragged in their announcement about a customer who ordered an Apple Mac Mini on Christmas Eve — Friday, December 24, at 1:41 p.m. — and actually received in the same day, less than seven hours later in Woodinville, Washington. But Amazon is still beating Apple in the war of the ebooks, according to another detail in the announcement. Amazon’s three most popular ebooks over the last five weeks were John Grisham’s The Confession, Decision Points by George Bush, and Unbroken by Laura Hillenbrand — all books which are unavailable in Apple’s iBookstore. And Amazon CEO Jeff Bezos still had one more story to tell, with a very happy ending. Here’s another interesting statistic: 74% of college students still prefer printed books over ebooks. In fact, if I’m reading those statistics correctly, there’s been an amazing spike in the popularity of the Kindle. The Kindle 3 has only been on the market for two months, and it’s already claimed as much of the market share as the earlier Kindle DX (which was released more than a year earlier!) 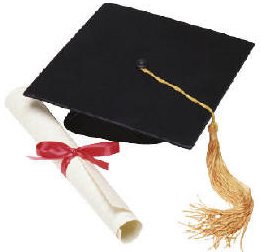 Maybe for college students, a lower price brings a huge boost in sales. Or maybe the Kindle has more “buzz” after an extra year on the market. But this was my favorite line of the study. “A tablet computer, such as an iPad, was the least common reading device used by students, selected by only 4% of respondents.” Out of all the ways to read an ebook, an iPad is one of the most expensive. Maybe college students are passing it over for a stack of used paperback books! iPad vs Kindle: the war heats up? It’s one of the most controversial comments ever made. Nearly three years ago, Steve Jobs was asked about the Kindle at the annual Mac World conference, and he made a startling declaration. But not everyone agreed with his cynicism about the business of ebooks, including the technology blog at The New York Times. And of course, Apple’s statistic also proves that 60 percent of Americans do read more than one book each year. I think Jobs’ comment was motivated by a feeling of fierce competition. But nearly three years later, it still remembered in Amazon’s Kindle discussion forum. When Apple finally unveiled the iPad in January, Steve Jobs reportedly demonstrated its reading capability, and then conceded that Amazon “has done a great job of pioneering this… we’re going to stand on their shoulders for this.” I think that today, it’s become a different question: not whether there’s a market for ebooks, but whether that’s a selling point in the war between tablet-sized devices. 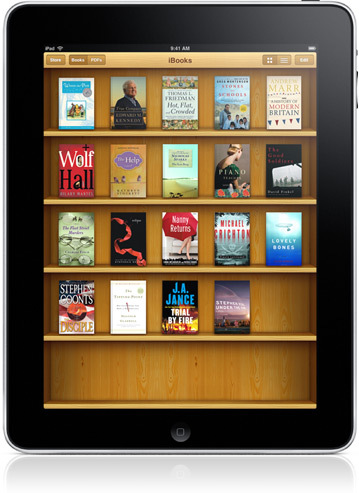 “No matter how cheap or technologically cool the iPad or Kindle are, ebooks will never come close to actual books…” complained one of my readers last week. But almost as soon as the iPad was released, reporters began comparing its screen to the Kindle’s. The rivalry between the devices heated up last week with Amazon’s newest TV ad. It uses two people talking at a swimming pool to demonstrate that sunlight glares off your iPad’s screen if you read it outdoors. Apparently it’s not just that there’s no glare from the sun; it’s that the Kindle is as light as a pair of sandals. At one and a half pounds, the iPad is nearly three times as heavy as the Kindle, with new versions weighing in at just 8.5 ounces. Judging by Edgerly’s experience, this could be a deciding factor for some users in the war between the iPad and the Kindle. There’s a secret history to the ad. In July, the New York Times interviewed Amazon’s CEO, Jeff Bezos, and he’d demonstrated the Kindle’s low price by telling an almost identical story. (“At $139, if you’re going to read by the pool, some people might spend more than that on a swimsuit and sunglasses.”) I wonder if he phoned the ad agency the same day, demanding that they start working on this commercial! The ad’s already provoking some interesting reactions on the web. “This is a good ad,” posted one reader at Electronista. “If you just want to read, the Kindle is a far better device. If you want a multipurpose device, the iPad beats it, just not in bright sunlight.” And another viewer spotted another advantage, which they’d posted in the comments at a site called The Next Web. But in Amazon’s Kindle forum, one viewer applauded the ad for both its valuable message — and for its messenger. “You can not read Apple products outside in the sunlight. I have an iPhone and it is useless in the sunlight. Do You Listen to Music on Your Kindle? In Amazon’s discussion forum, I’d asked a simple question: Do you listen to music on your Kindle? But the answers surprised me — and shed new light on how people are using their Kindles. It turns out that, while the Kindle can play music, people often think of other devices. One user made this clear when I’d asked what specific music they liked to listen to on the Kindle? And another user quickly agreed. I’d been curious about what songs people stored on their Kindles, but now I was having trouble finding people who’d even bothered. For the people who wanted background music, there were already several established music players — many by Apple — which offered better features and better storage. “…the limited storage space on the Kindle 2 prevented me from loading a lot of music. I read a lot so I was listening to the same tracks over and over. In the end I stopped loading music on the K2. I just listen to music on my iPhone where I have my entire music library. Another user reported a similar experience. (“I have an iPod Classic with over 13,000 songs on it as well as an iPod Touch with music and the Kindle app.”) But it was nice to hear occasionally they still used the Kindle’s built-in mp3 player. “Especially when I’m reading on the patio and about to doze off, I’m sometimes too lazy to go get another device and it’s nice to already have some music choices on the reader. So finally, I could get back to my original question. What were they listening to on their Kindle? “My favorite reading music is classic, usually something not terribly climactic. 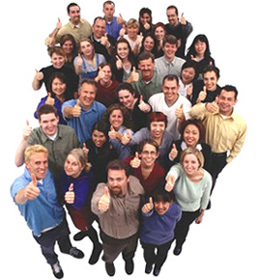 Rachmaninov usually works.” And at the end of the discussion, I was glad to hear that at least one of these Kindle owner shared my enthusiasm for the Kindle’s mp3 player. It’s a good article, but what I really liked is the way that it answered an even bigger question. A few analysts had raised a darker possibility:that Amazon will kill the Kindle. What if Amazon decides it just doesn’t want to compete with the iPad, and then shifts all of its resources into marketing Kindle ebooks (to all the non-Kindle devices, like the iPad, the Blackberry, and the Droid)? But apparently Newsweek’s reporter broached that topic with Amazon’s CEO Jeff Bezos when the Kindle first began confronting the possible threat from the iPad last fall. Of course, you can read what you want into that quote. (After all, separating the Kindle from the ebook would be the first step towards eventually abandoning the Kindle altogether.) But here’s how I understand what Amazon’s CEO is saying. 1. Amazon doesn’t need to sell Kindles in order to sell ebooks. Will the iPad kill the Kindle? 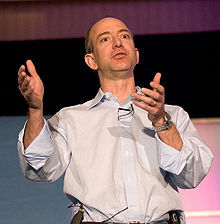 There was some controversy when Amazon’s Jeff Bezos announced a new book-reading Kindle application for the iPad. “Is Amazon Killing the Kindle?” asked The Motley Fool, noting that Amazon offered extra video and audio features in their Kindle applications for both the iPad and iPhone. It’s possible to embed multimedia clips directly into the ebooks, so they can then be played back in the Kindle applications for these devices – though not, ironically, on a Kindle. The Motley Fool noted that Amazon was making an effort to support Kindle applications not only on Apple’s mobile devices, but also on Google’s Android platform and Droid phones. (And there’s also a Kindle app available for the Blackberry.) “But will that support come at the expense of the Kindle itself?” Noting that Amazon is now “putting out a better product for the non-Kindle owning crowd,” they wondered if Amazon was refocusing its energy on the sale of ebooks — rather than on their own ebook-reading device! For an answer, let’s go to Amazon CEO, Jeff Bezos. Interviewed by Fortune magazine, he was first asked point-blank about the iPad, and, basically, whether Amazon felt doomed by Apple’s entry into the marketplace for tablet-sized reading devices. Was the threat of competition what pushed Amazon into dramatically lowering the Kindle’s price last month? But the interview also offers an interesting statistic — last year, 80% of all ebook sales came through Amazon’s store. (Bezos jokes that “It’s hard even for us to remember internally that we only launched Kindle a little over 30 months ago.”) So it still stands to reason that Amazon is just as interested in protecting their book-selling business as they are in their secondary business of selling Kindles. That’s the secret subtext when Bezos answers a question about whether Amazon can hang onto its share of the ebook market. “We want people to be able to read their books anywhere they want to read them. That’s the PC, that’s the Macintosh. It’s the iPad, it’s the iPhone. It’s the Kindle. So you have this whole multitude of devices and whatever’s most convenient for you at the moment. It’s a fascinating interview, because you get the idea that Bezos really, really loves books. At the same time, he also admits that “I think the definition of a book is changing.” He defines that change specifically in areas where the Kindle is strong, saying that the book is now “getting more convenient. Now you can get a book in less than 60 seconds.” But in the end, he still never answers the big question of whether Amazon sees its future in the sale of Kindles — or in the sale of ebooks, to all devices. Fortunately, there’s one more piece of data. You may have seen Amazon’s new television ad, where they emphasize that you can read your Kindle at the beach, in direct sunlight. (Which would obviously be nearly impossible with the back-lit screen of an iPad.) If Amazon were surrendering to the iPad, then they wouldn’t be wasting their money on an expensive TV ad campaign. To me, this strongly suggests that Amazon is still serious about staying in the market for tablet-shaped devices. But ironically, back in January — before the iPad had even been released — I’d already written an article asking Could Apple’s iPad Kill the Kindle? Maybe it’s ultimately just a perpetually trendy question — and an indicator that Kindle users feel overly protective of their beloved device!